Clear glasses? Sunglasses? Too many glasses? 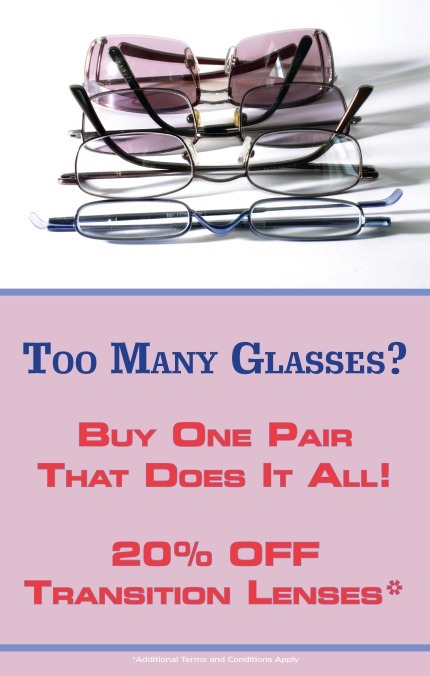 Our Transitions glasses are 20% off this month.